Wow UBMBA: Meet me. Like me? Hire me! As a second-year MBA student, my priority is to get a job. Every second year MBA student I know here at the University at Buffalo feels the same way: Jobs! Jobs! Jobs! We aim to get a job by the time we graduate, but the earlier the better! To be at the head of the line, I attended the 2015 National Black MBA Association (NBMBAA) annual conference and career fair. 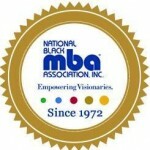 I learned about the NBMBAA career fair from the School of Management’s Career Resource Center during the summer ­­and was able to register at the early bird price, which saved me a couple dollars and guaranteed me a spot at the fair. This year’s conference and career fair was in Orlando, Florida in late September. NBMBAA hosts a great number of Fortune 500 and other prominent companies, including Exxon Mobil Corp., Chevron Corp., Ford Motor Co., General Motors Co., Cigna Health, Bank of America, IBM, Accenture, Ernst & Young, Pepsi and Delta Air Lines Inc. Luckily my hard work paid off and I got to interview for Cigna Health and PNC Bank at the venue. I was very excited about the interviews and I’m looking forward to advancing to the next stages of the recruitment processes. I also received funding for my career fair journey through The Wow Fund. The School of Management recognizes the importance of career fairs and established The Wow Fund to provide financial support to students when traveling and attending any national career fairs or conferences. This is the first year the fund has been available. My classmates Patrick Talbot and Stacey both attended conferences this fall as well thanks to The Wow Fund. There’s more to do at the career fair than just networking with companies and their recruiters. Career fairs are a great way to expand your MBA network. I was able to connect with MBA students attending other universities like MIT, NYU, and University of Texas (Dallas). We were able to share stories about our own MBA experiences and also trade interviewing tips as well. Being that I was in Orlando, I also used the opportunity to visit some tourist attractions like Disney World and Universal Studios in the evenings.. It was my first time ever visiting Disney World and Universal Studios. 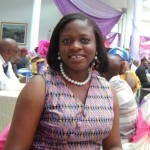 Every MBA student should try to attend any of the national MBA career fairs. A lot of companies who attend the career fair come there aiming to recruit new talent. You just might get lucky and receive a job offer at the fair! Register early so that you can gain access to the list of companies attending and their job postings. Because I registered early, I was able to apply to jobs I am interested in and went to the career fair prepared for two interviews which I am currently following up on! Before you visit a booth at the career fair, make sure you research about the company and have an idea of the kind of roles they are seeking to fill from the career fair so that you can tailor your discussion/ responses to what you think they need! The Wow Fund is offered through the School of Management Career Resource Center to financially support individuals, groups or organizations in the school who travel to national conferences or competitions during the academic year. To learn more, contact the Career Resource Center. Onyinye (Belinda) Okechukwu is a 2nd year MBA student from Nigeria majoring in Finance, international business and consulting. She loves to cook up new recipes, travel, read a good book and keep up with her favorite TV shows (Empire and Game of Thrones!) in her free time. This entry was posted in Career Fairs, Career Resources, Conferences, Networking, Student Life, The Wow Fund and tagged Career Fairs, NBMBAA, UBMBA by ubmba. Bookmark the permalink.